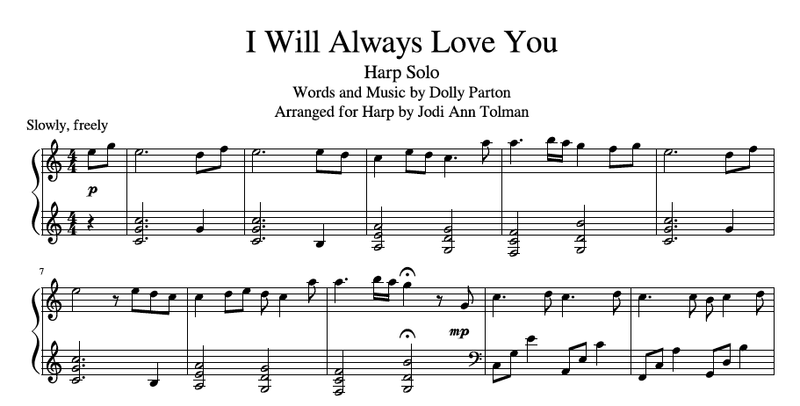 This great love song from The Bodyguard was written by Dolly Parton and made a hit by Whitney Houston, and is now playable on the pedal or lever harp. 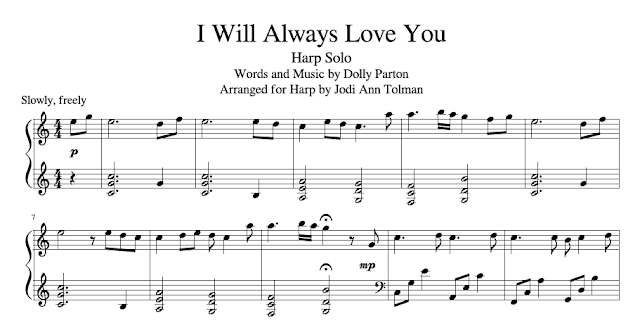 I purchased "I Will Always Love You" for a funeral service I am playing at in two days. It is a great arrangement and perfect for what I need. I'll look forward to playing it for other special events.